^Thanks... for that. Care to share why instead of just throwing in a one sentance post??? And in kind of the wrong area. That could have been posted in a Lisa thread in the Origins section. I am intrested in how close (or far) from the original Lisa SH:SM is going to come up w/. I wonder if they are going to play her more to the sweet soul she originaly was or the actress on crack that she was in Origins. My hope is they go back to the original Lisa. My hope is they go back to the original Lisa. I want original Lisa, too. She was just nicer. Personality AND to look at. 0rigins Lisa just reminded me of a loose hag. I wish I could get those images out of my head. The sexed her up just enough to give her an edge, but kept her still nice looking... then in the game, she was annoying as hell. She acted like she was high the entire time, which she may have been. We always knew she did drugs, but they made her into one of the sad streetwalking, do-anything-to-get-high characters. It was sad, I have not watched an cutscene w/ her in Origins since my first playthrough. I just skip them. I just looked it up myself, then checked back on the boards. Maybe Climax can make up for it's past. They made Cybil look half-way decent, so I have some faith left. And to the person that posted above me, I can't necissarily agree. Lisa wasn't a streetwalker, she was an addict. An addict to the drug that Kaufmann was supplying her. While it's true that she's an addict, she wasn't sleeping around with everyone, she just wanted her fix. And even more true, that's how many addicts act just to get that momentary high. Youâ€™re a rock star everybody wants you, Playerâ€¦ who can really blame you? She didn't say Lisa was a streetwalker. Chelsea was comparing her sympathy-level to that of some crackhead who did it to herself. Shattered Memories has Lisa now? Oh, this is great. Krist, do you not want Lisa in Shattered memories, or are you just upset at the poster above assuming she was in before confirmation? You do realise that it's Climax doing Shattered Memories, right? The same people who made 0rigins... the same people who made Lisa ugly... etc. I know, I'm upset about it too. To be fair, it WAS the PSP. Everyone looks ugly on that. Great. Care to explain why? She was never that amazing to me. Besides I think SHO Lisa was great. I saw some cutscenes of Lisa in SH1 and she's not THAT amusing... I'll get that game someday and I'll have some "good" (at least to me) discussion about her. Wait a minute, this psychological profile thing means you can make Harry a gay guy! He adopted Cheryl, so it's possible, and he and Kauffman can become "life partners!" My dream of having a gay protagonist in Silent Hill could come true! Muhahahahaha! Untill you play the game, I don't think you can really understand her character. Especially if you like the Origins version so much. She is a bi part of the game, if nothing more than the massive role she played in Alessa's life pre-SH1. The Lisa painted in Origins and in the movie is no where near the same character as Lisa from 1. I hope you can get the game soon and play it through. You need to play it to understand. I think it has to do with the atmosphere of the game. She's one of the few pretty things in Silent Hill, and that's saying a lot. Blasphemy! Someone doesn't like Lisa?! What kind of Silent Hill forum is this?! In all seriousness, I can see why someone wouldn't like Lisa if they only played 0rigins. 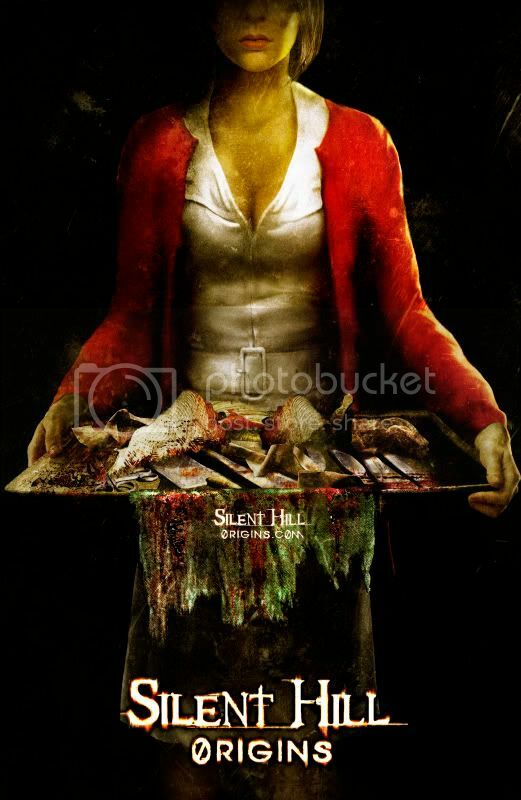 I think that actually playing the original Silent Hill makes people think differently about her character. I didn't care for her too much in 0rigins at first, but it was understandable, as she was young, naive, and was getting introduced to drugs. From that perspective, I can appreciate the game, but I'm still going to always think of Lisa as a goody-two shoes kinda gal, no matter how many drugs she does. Probably because you went into the game already sort've familiar with the series. You weren't on the original 1999 exposure to her, which probably has something to do with her fan-worship. I don't see her character design being that linear, against the backdrop of the rest of the game. Do you have any reason to doubt what she tells you, or do you just not trust her or something? I have reason to doubt the alleged motive Alessa allegedly manifested Lisa for.